Billionaire globalist George Soros has been forced to flee Turkey after the the Turkish government accused him of trying to subvert democracy. 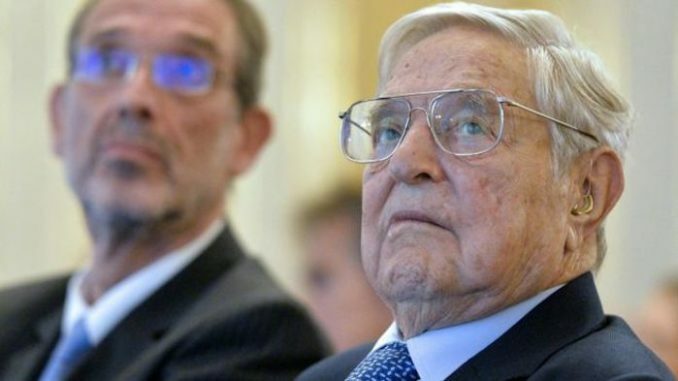 Soros’s Open Society Foundation confirmed on Monday it would cease all operations in Turkey, in response to President Tayyip Erdogan’s accusations that Soros was deliberately trying to divide the nation. Reuters.com reports: The organization said it was no longer possible to work in Turkey after it became the target of “baseless claims” in the media and a renewed investigation by Turkish authorities into mass protests against Erdogan’s government five years ago. Probably hiding in Palm Springs, California where Obama landed first day out of office in 2017.